You can get Mandriva by going to and downloading their ISO file. You can then burn it to a DVD or write it to a USB stick, then boot your computer from that media. When you first load Mandriva, it will ask you a few questions to determine language, time, and keyboard layout. Once you answer those questions, Mandriva will finish loading and then present its clean desktop. Mandriva uses KDE as its default base, although Mandriva mixes some Gnome applications in as well (and quite well, as the exact same theme is used for both types of applications). The theme, while we’re at it, is beautifully made, even if the red close button serves as a reminder to Windows. There’s not much you can do in Mandriva without having to go to the taskbar at the bottom of your screen, where a lot of functionality and hidden features are stored. The star button on the very left seems to act like the Start button in Windows, but when clicked it opens what Mandriva calls the “Mandriva Smart Desktop”, where you get a Welcome screen with shortcuts to recent applications and folders, an area to search for all applications to launch, and then “TimeFrame” which shows what you’ve worked on over time. Continuing along the taskbar, you’ll see a few shortcuts to major applications like your browser, chat program, email, music, and settings. On the right side of the taskbar, not only do you find the icon tray, but some strange little folders. Click on them, and you’ll see that they’re stacks. The idea is similar to Mac OS X‘s stacks, except with a different design. Mandriva includes it’s very own synchronization tool as a replacement for Dropbox. While it’s not quite as advanced as Ubuntu’s “Ubuntu One” service, it still looks nice and should get the job done. 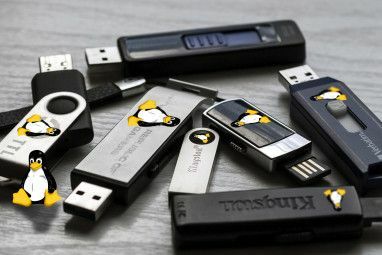 It integrates very well with the distribution and includes 2GB of storage for free. 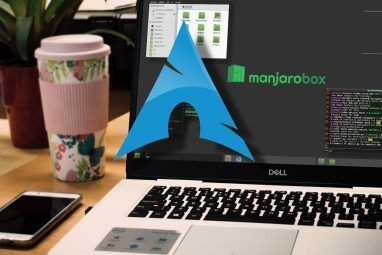 Personal settings in Mandriva can be configured through modules in KDE’s System Settings application, but actual system settings need to be taken care of via the “Mandriva Linux Control Center”. Mandriva’s settings application is quite appealing, and includes some nifty features such as Parental Controls, which is lacking in most other distributions. Of course, compared to the previous version of Mandriva, many programs and behind-the-scenes services have been updated to include new features, gain stability, and be more secure. The newer versions should constitute make for an enjoyable time with Mandriva. Mandriva is still a great distribution, and offers a refreshing choice compared to Ubuntu and other popular distributions. While it’s no longer the king of Linux distributions, it’s definitely not out for the count. Who knows, maybe Mandriva can even stage a comeback and rise back to be top of the pack. What do you think about Mandriva? Is it something that you might use? What does its future look like? Let us know in the comments! We've learn some great stuff here. Worth bookmarking for returning to. I wonder the amount of attempt you placed to develop this type of superb informative web site. I love this latest release. I have it installed on my netbook (Asus eee pc 1005) and have customized my desktop in a way which wasn't possible with 2010.x. I will say there's a learning curve involved with transitioning from last year's and previous versions, but the effort is well worthwhile. One more thing to add is that it makes Windows 7 look primitive (and I used to think linux (all distros) was more primitive looking than Windows until I tried this version). I finally have gotten to the point where I no longer use Windows at all. I still have the (Windows) partition on this computer but will probably remove it in the near future due to lack of need and use. well written, thanks. Mandriva is my primary system, I've used Mandrake/Mandriva since I found a boxed Mandrake 7.0 sitting on the shelf at an Electronics Boutique store way back when. Up to that point I'd only had luck with Cauldera, and a bit less so with red hat. But Mandrake was spectacular... I'll never forget the first time I opened the control center... I felt like Linux had finally arrived! I'll look around your site here a bit, you're a very interesting fellow. It'd be interesting to know what areas you have contributed to over at fedora. I'm really liking gnome shell on f16, I think gnome 3 would be the ideal interface for a touch device, eg a tablet. Mandrake 9.1 (I think it was that version) was my entry to the world of Linux. Nice to see they're still around. Mandrake/Mandriva has had a lot of encounters with bankruptcy, so I'm surprised they're still alive and kicking. Mandriva looks very beautiful; thank you very much for this article. It was very informative. 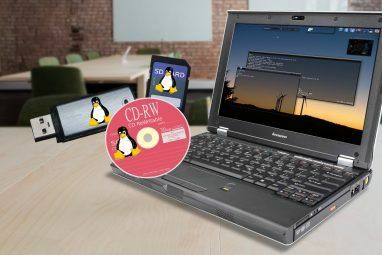 If I were to consider this type of Linux for my old netbook (MSI Wind U100-432US), I'd probably go with the Lxde version of PCLinuxOS, which is based on Mandriva. Lxde is much more lightweight--therefore, more netbook-friendly. First, let me congratulate you on your article. Not only is it beatifully written, but it is also informative and unbiased. Although Mandriva's situation might be somewhat uncertain right now, I must admit that Mandriva 2011 was a nice release. Concerning restricted programs, you can always get them from the repositories..and now that Skype belongs to Micrsoft, let's see how long it remains FREE. Hey, great info. Mandriva is a wonderful and stable Linux distro.